Making important decisions about your family's future can be difficult -- and learning about the legal avenues that can make those changes happen can also be hard. This page of frequently asked questions is here to help those who are learning about Seattle family law issues related to the divorce process. What should I do when I’ve been served divorce papers? 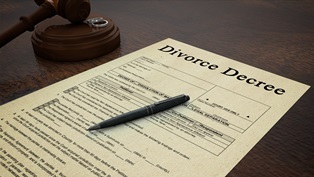 Being served with divorce papers can be a jarring event, whether you were expecting it or not. You may be confused and uncertain about what your next steps should be. Knowing what to do after you’ve received a petition for divorce can help alleviate some of the stress and worry about how to proceed. What Does Being Served Mean? 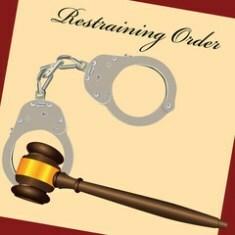 When someone initiates a legal complaint against you, such as a lawsuit or a divorce, the act of delivering the paperwork to you is formally known as “service of process.” In the state of Washington, there are certain rules over who may serve legal papers, but it’s most common that a private fee-based process server is used or someone from the county sheriff’s office. The Summons. 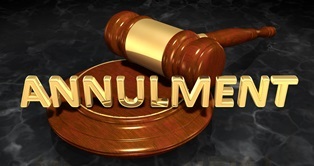 A summons is the legal document that formally tells you there is a legal action in place against you and grants the court the power to hear the case. The form contains information specific to your case, including the case number and the time in which you have to respond. Petition for Dissolution of Divorce. The petition will include information such as the name the people involved in the complaint (you and your spouse), the legal claim being made, and the desired outcome or relief that your spouse is asking for, including any demands for specific assets and alimony. It also should make clear the consequences for not responding in a timely fashion. Even though it may be difficult, take the time to read through the papers, so you understand the demands of your partner. Then contact a divorce attorney who can answer any questions you have about the process and help you make your next move. Refusing service is almost always counterproductive and will likely hurt your case. Washington also makes it very easy for papers to be served, so you won’t be able to avoid them forever. Even if you refuse to take the papers from the hands of a process server, the fact that you have been verbally notified of service is usually enough for the state of Washington to allow the petition to proceed, with or without your involvement. Even if you’re actively evading the process servers, the court may opt to allow your spouse to instead file service through alternative methods, including by mail or even in the newspaper. Choosing not to participate in the legal process by avoiding service will likely result in a default judgement against you. This means that the demands of your spouse may be fully granted by the court and will be legally enforceable, whether you like it or not. In the state of Washington, you typically have 20 days to reply to the petition and summons with a legal answer. The clock begins from the date you received service. However, it’s always wise to read the paperwork you receive thoroughly, as it should state the legal timeframe that you have to respond. Your attorney will help you begin your legal response immediately to make sure that you stay within the specified deadline. 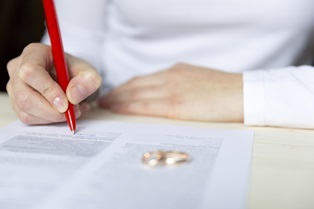 What’s in a Legal Answer to a Divorce Petition? Your legal answer is an acknowledgement that you received the divorce petition (and the summons) as well as whether you agree with the terms and conditions proposed by your spouse. You’ll address each demand, paragraph by paragraph. This is often done with a simple list of checkboxes, indicating your acceptance or denial, or a request for further information before you make a decision. You will also need to make a brief supporting statement explaining your reasons for each demand that you deny, as well as specify any counter-demands that you have. Some people try to address the divorce process alone, but a family lawyer can help you through it. She can answer your questions, help you with your response, and see you through trial, if your divorce ends up contested. If you’ve been served divorce papers and don’t know where to turn, contact the Law Offices of Molly B. Kenny. Call or use the contact form to schedule a private consultation in our Bellevue office today. 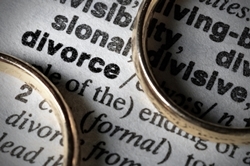 How does a no-fault divorce impact the way property is divided? Courts in Washington do not need, and will not consider, any sort of accusation of wrongdoing by a spouse when considering the petition for divorce at all. Pure no-fault means that Washington only recognizes no-fault divorces. The positive aspect is that unlike a traditional “fault” divorce, either party can file for divorce at any time without proof of wrongdoing by a partner. As long as the correct legal procedures are followed during the divorce process, the court will grant the dissolution of marriage, regardless of what the other partner claims. Washington is a community property state, which means that generally, any assets or debts that occurred after the date of marriage are owned equally by both parties. Any assets or debts that belonged to an individual before the marriage are considered seperate property that still belongs only to the original owner. You may be able to negotiate an agreement with your spouse with the specifics of property ownership and submit it to the court. However, if negotiations fail, the court will step in to help take care of it. The court may consider other factors as well, depending on the specific circumstances of your divorce. In certain situations, the court may even include separate property in its decision, although this is relatively rare—separate property usually stays with the original owner. Inheritances or gifts given solely to one partner also remain with that partner, as well, although there are exceptions. 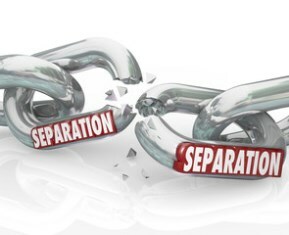 When separate property has been “commingled” with community property such that the two become indistinguishable, the court will consider the separate property as community property for purposes of asset division. For shorter-lived marriages, the court will look less at an equal division of assets and more at putting each partner back in a financial situation that’s similar to the way things were before the marriage. However, since Washington is a pure no-fault state, the one thing the court will not consider is marital misconduct during asset division. Before the court must step in and guide asset division, you may consider enlisting the services of a divorce mediator to help you. If you and your spouse can come to a mutual agreement about asset division outside the courtroom, the process can be much faster, and it will save money, too. Do you have questions about asset division during your divorce, mediation, or another divorce-related issue and need legal help? The attorneys at The Law Offices of Molly B. Kenny are here for you, and we have decades of experience handling cases like these. Reach out today by calling us, or click the contact link on this page to arrange a private consultation in our Bellevue office. Which assets are worth fighting for in a divorce? Are there any benefits to being the first to file for divorce? Even though your relationship has reached its end, you may be dragging your feet about being the first to file for divorce. You may have heard divorce horror stories from family or friends and are sitting on the fence, thinking that you should just wait for your partner to get the ball rolling. Maybe you think it’ll be easier if the paperwork is started by your partner first. Or maybe you’re just scared about the future. 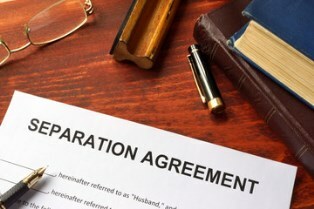 For most divorces, there is little advantage to being the first to file, especially if you and your spouse both agree that the split is for the best. But if it could turn messy, there are a few advantages that make filing first worth thinking about. One of the big advantages to filing first is simply this: by taking the initiative, you are taking control of your life. It signals that you’re ready to move on, and you’re not going to wait around for your ex to make the first move. If your relationship has been a poor or abusive situation for you or the kids, it can be truly empowering to take the first step. Filing first also means that you won’t be surprised or caught off guard by your spouse handing you the paperwork. You will have the time you need to think about your long-term legal strategy for the divorce process because you won’t need to scramble to meet a deadline to respond. You will also give yourself extra time to plan for any of the major life changes that a divorce can cause. 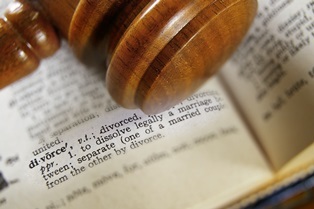 When you file for divorce first, you will be the first to present your case before the court. This means that the judge will get to hear you speak, listen to your side of the story, and look at any evidence you have before it’s your partner’s turn. Although the court will treat both parties equally in the eyes of the law, some people feel that this can help their case, as going first can be a confidence booster. By being the first to file, you may be able to shorten the time that your ex has to try and hide any assets from the court. This can be a big help if you think he might try to deprive you of your fair share of community property. Vengeful spouses can sometimes try and drain joint bank accounts, sell property, or disappear with cash or other assets if they believe a divorce is coming. Make sure that you know the warning signs that your spouse may be hiding something from you, and speak to your attorney about it as soon as possible. Being the first to file also means that you’ll have the time to put aside assets of your own in a legal, safe manner that ensures you’ll be able to support yourself adequately, pay for legal counsel, and cover any other expenses that may arise until the divorce is finalized. The biggest advantage of filing first may be that you’ll be able to take the time you need to find the right legal team to help you through your divorce. Your attorney will be your legal guide and support throughout the entire divorce process, so it’s worth spending a little time shopping around. Don’t be afraid to speak to more than one attorney or firm, and ask plenty of questions to make sure your lawyer will be a good fit for you and your situation. The Law Offices of Molly B. Kenny serves clients of all kinds for their divorce and other family law needs. When you’re ready to talk to an experienced legal professional about your family situation, we would be honored to serve you. Please call us to arrange a consultation in our Bellevue office. Can my husband sell or remodel the house after we divorce? Who Should Stay in the Marital Home After a Divorce? Yes. If you and your husband both decide that the family home should stay in his possession, then he will be able to sell or remodel the house in the future without your approval. Of course, if you wish to give up possession of the home, but not your legal rights to it, this can be done during divorce negotiation. Let’s say that your husband is keeping the home because it is closer to Ballard High School and is more convenient for the children. However, the house belonged to a former member of your family, and you do not want to let it out of your possession permanently. In this case, you should make sure that you preserve your legal rights to the property in the final Marital Settlement Agreement (MSA). Exclusive possession. Generally speaking, whoever takes possession of the house will usually expect exclusive decision-making power as to who lives there and what is done to the building and land. However, they may relinquish some control if both partners continue to pay the mortgage, taxes, or insurance on the property. Joint ownership. If you and your husband both want to retain some ownership of the house, your MSA should clearly outline who is responsible for maintenance, cleaning, landscaping, and general upkeep of the property. If a tree limb falls in the back yard and damages the pool, who will pay for repairs? If your windows need to be replaced will you split the cost evenly, or will the “tenant” spouse pay more? Financial implications. While you and your spouse may split the property, only one of you will be able to claim its tax benefits, such as the mortgage interest rate deduction. Consider the future: will your children inherit the home, or will it be sold when they are grown? If the property is sold, how will the proceeds be divided? You should also make provisions for what will happen to the home if one of you dies, such as buying extra life insurance to cover the costs of the property. Do you have questions about the financial aspects of your divorce? Fill out the consult link on this page for answers, or read our free Washington women's divorce guide. What does “conscious uncoupling” mean exactly, and how might this differ from a typical divorce or separation? A divorce or a legal separation can be a very difficult, and often stressful, time for each party involved. Anger, suspicions, denial, confusion, relief, and grief are just a few types of emotions that you might be feeling throughout this process. If you’re looking for a way to avoid some of this frustration, one option could be to follow the now popularized by Hollywood “conscious uncoupling” method. So How Is a “Conscious Uncoupling” Different From Most Divorces? The airing of grievances – This involves both parties sharing their frustrations and listening to the other’s points of view. This can be done with the help of a therapist or mediator to help aid in the process of keeping things amicable. Burying the anger – This is a crucial part of the process, because this allows for healing to occur, even if the relationship is ending. Learning to move past the anger and forgive allows both parties to maintain the bond they share, even if the romantic commitment to each other has ceased. Caring for each other because of your relationship – The goal is to focus on your former partner’s strengthening positives rather than emphasizing the negatives throughout the future. Ultimately, the idea is to have a thoughtful and thorough completion of a relationship or marriage. All efforts should be made to end the union with closure and amity. This can be different from a typical divorce because the primary focus is not on who gets the house in Bellevue, how’s the money going to get divided, or whether Issaquah or Bellevue has a better school district for the kids to live in. Rather, the end attempt is to aid both individuals in finding healing and wholeness through divorce. In the end, no one is “the bad guy,” and the entire family can remain as unified as possible under the circumstances. All of those things do have to be considered, but ultimately happen as secondary issues, and not as the primary, “get what you’re rightfully owed” result. Do you have any thoughts on the idea of “conscious uncoupling” vs. a more common divorce or legal separation? Want to learn more? Connect with Molly and the rest of the team on Facebook or Twitter to learn more. Yes. Unfortunately, financial deception is a common concern in Seattle divorce proceedings. While Washington State is a “no fault” divorce state, meaning that a divorce may be granted if one spouse believes the marriage is irretrievably broken, a financial deception may still be relevant to your Seattle divorce case. Proving that financial deception occurred may be irrelevant to your grounds for divorce. However, it could be important in your divorce settlement. 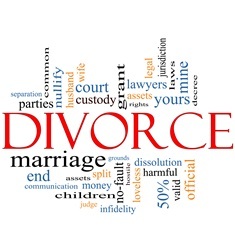 It could signal to your divorce lawyer that further investigation needs to be done into your marital, and separate, assets to make sure that you have a true accounting of your marital estate and to make sure that your property is fairly divided in a divorce settlement. Your spouse may have broken your trust and compromised your financial future. You shouldn’t have to suffer any more than necessary because of his or her actions. Instead, you should tell your divorce lawyer everything that you know about the financial deception and about all of your financial assets and liabilities so that a proper investigation can occur and a fair divorce settlement can be reached. For more information about how to protect your assets during a divorce where financial deception is a factor, please contact us today for a confidential consultation. You can also learn more about your rights by downloading a complimentary copy of one of our books: The Savvy Woman’s Guide to Divorce in Washington or The Thinking Man’s Guide to Divorce in Washington. When Will My Washington State Divorce Be Finalized? Before the judge signs his or her final decision, you must petition the court to end your marriage and your spouse must be served divorce papers. You must also divide your property and decide on important issues including: debts, assets, child custody, child visitation, child support, and alimony. You may accomplish this through mediation, divorce collaboration, or a settlement. If you are unable to settle these issues out of court, you will go to trial. 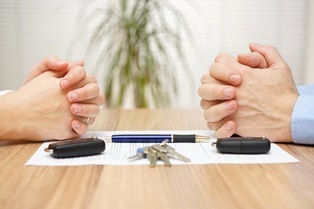 How long does it take to finalize a divorce? The answer to that question depends heavily on the details of your case. How complicated are your finances? Do you have children? How long have you been married? Are you likely to fight over property? Is there domestic abuse involved? Do both of you wish to be divorced? Will you need to go to trial? While a Washington State divorce can take as little as 90 days, many divorces take more time than that because of the above issues. 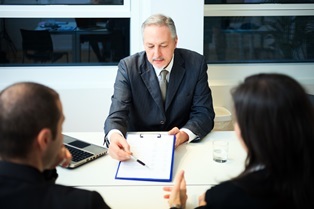 An experienced and knowledgeable Seattle divorce attorney could make your divorce go as quickly as possible considering the details of your case. If you would like to speak with a Washington family lawyer, call the Law Offices of Molly B. Kenny today at 425-460-0550.